Guys we are 11 days from Christmas and I am SO excitedddd!!! I can't believe it's almost here. I leave at the end of the week to go home for the holidays and I couldn't be happier to see the family. 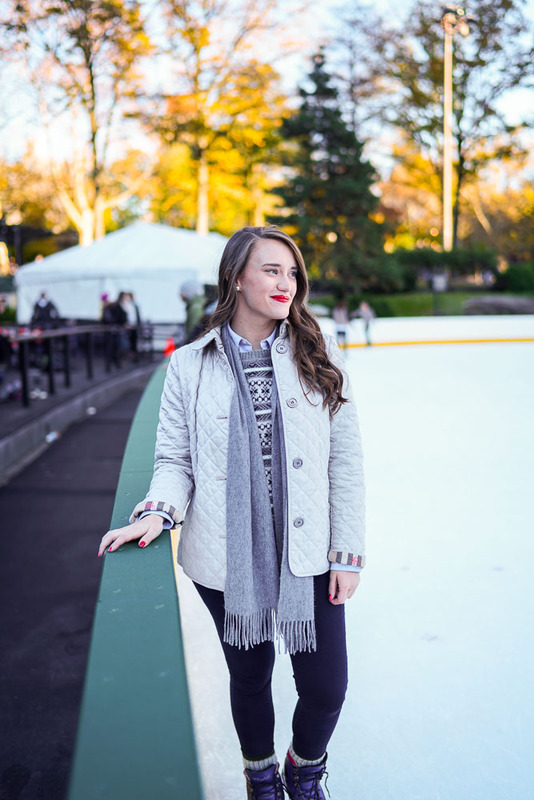 Thankfully I've checked off all of my major NYC to-do list for the holidays before I go and I'm back again to share another day in my 12 Days of NYC Christmas with you. So skate on over and have a look! 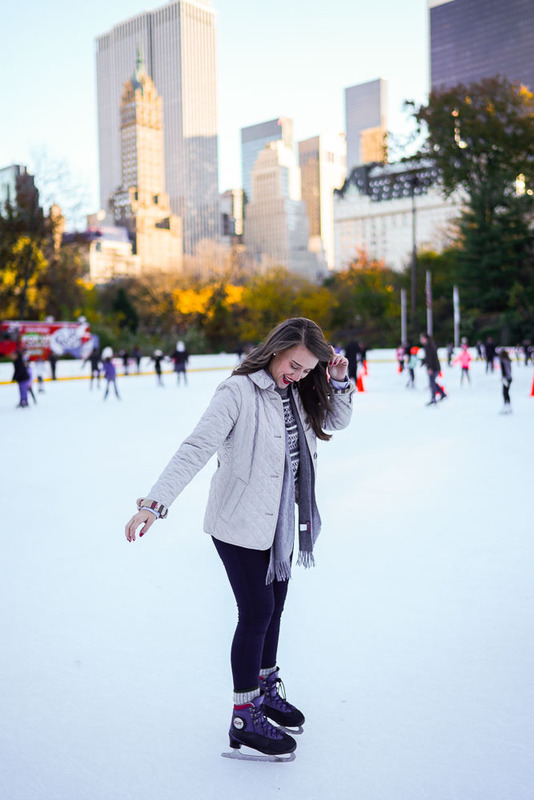 Skating in Central Park is a New York City staple during Christmas time. 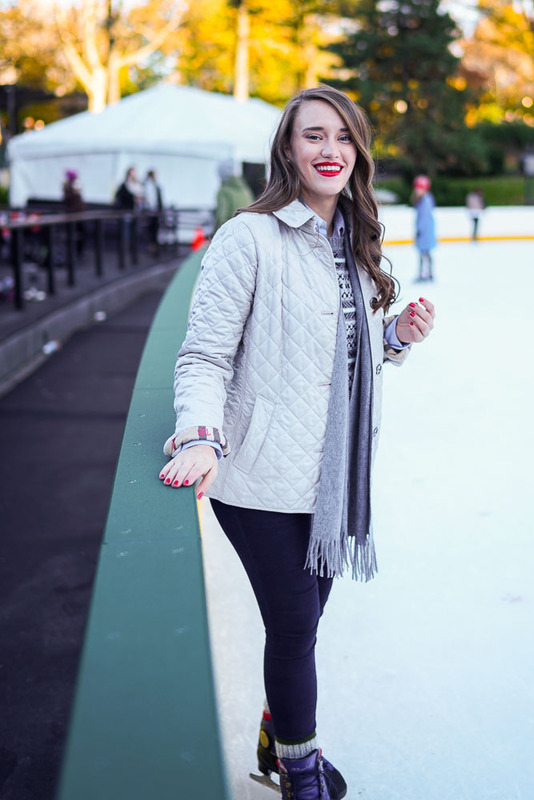 They open the rink mid-November and keep it open all season long. It's the perfect location in the park where you're surrounded by trees but still get an amazing view of the buildings in the background. With this weather we've been having, you're able to skate comfortably and really just need a sweater and a light jacket. 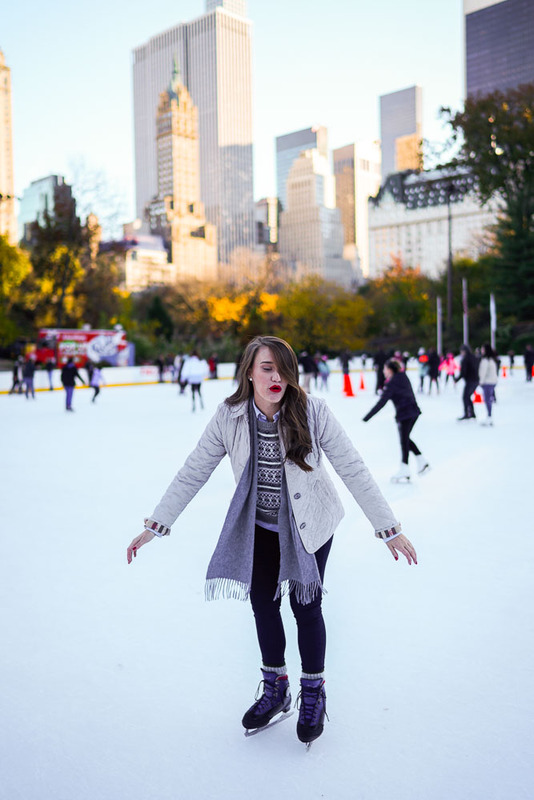 Although it would be really fun to skate in the snow! Skating itself is a little pricey but I really think it's worth it! I always forget how much fun skating is until I do it again. It's scary at first but you totally get the hang of it after a while. There are also places inside to keep your stuff, grab a bite to eat and seating outside to relax and people watch. 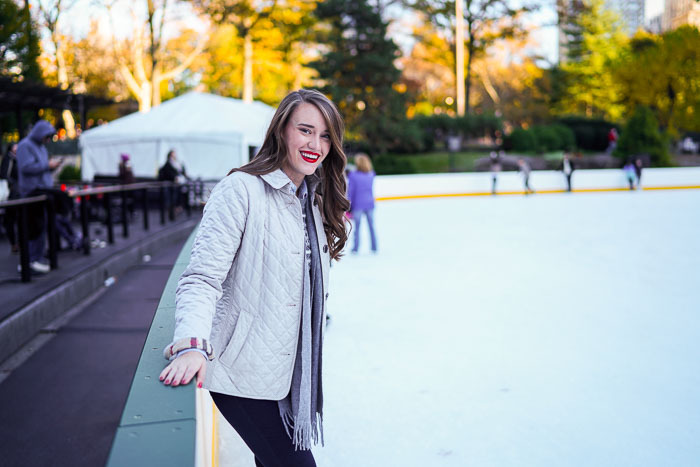 What's amazing about the city is that during the holidays there are so many rinks to choose from: Central Park, Bryant Park, The Standard Hotel (in Meatpacking) and the rink at The Rockefeller Plaza. 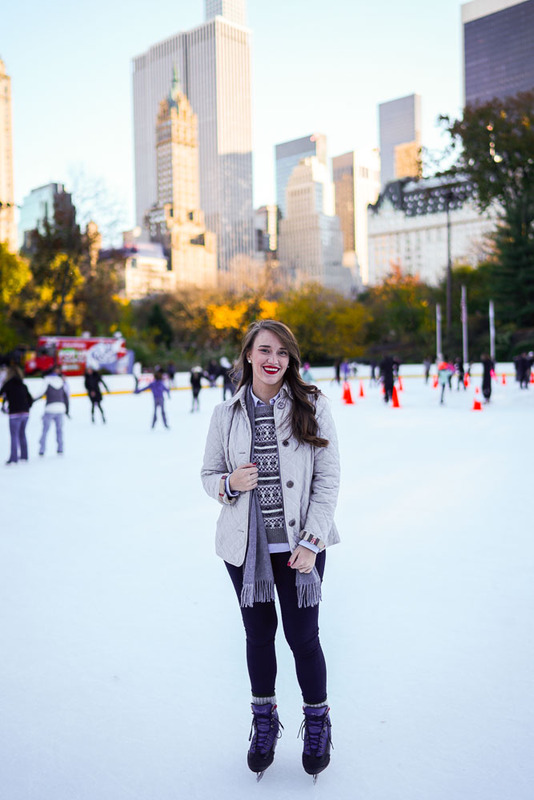 I personally like Central Park and The Standard rinks the best because they are less crowded (still crowded but less so than the others). 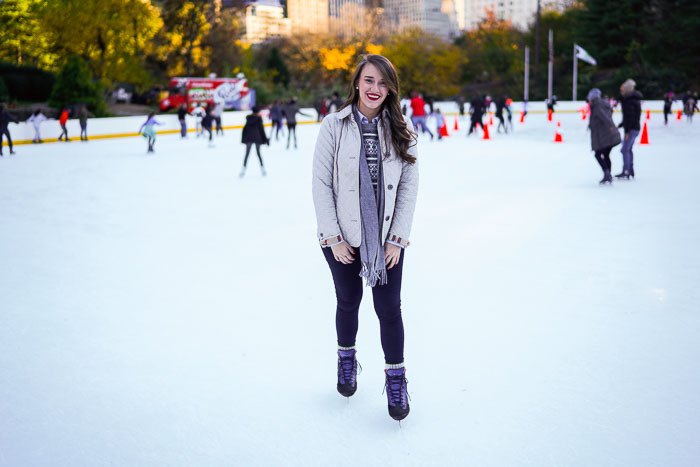 So no matter where you are in the city, you need to make sure you get to your nearest rink! 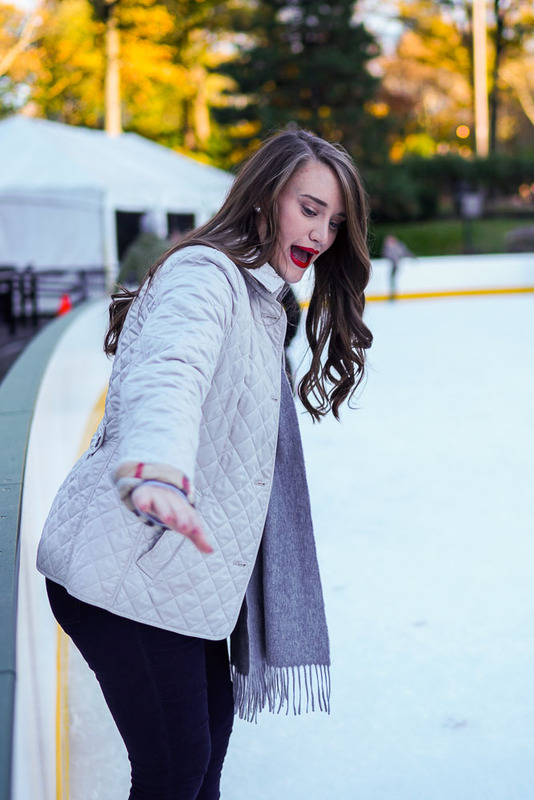 I need to go ice skating! So cute! 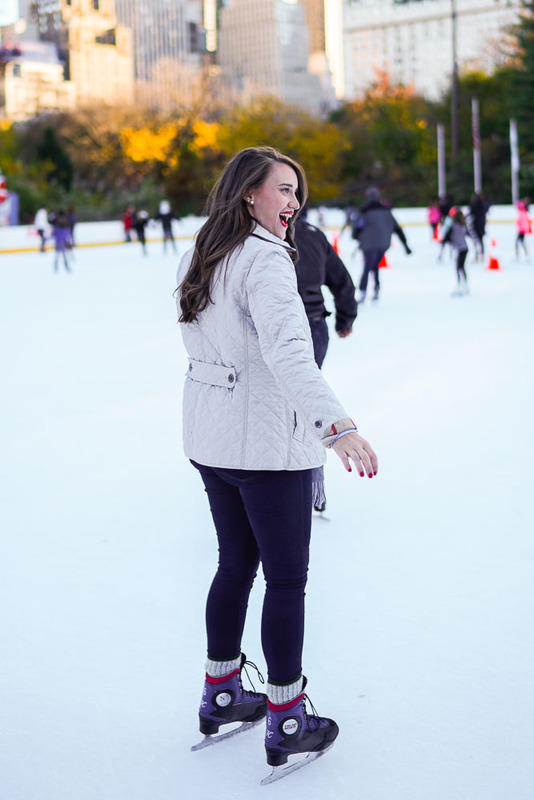 I tried going ice skating at the Rockefellar Center last weekend, but it was so crowded! I wish I would have come here instead! You're so cute!